On Thursday 11/2/2017, the House Committee on Ways and Means released the 429-page bill, known as H.R. 1 “Tax Cuts and Jobs Act.” The following summary is from a document prepared by the staff of the Republican leadership of the committee. All of these changes are effective after 12/31/2017 unless otherwise noted. There are many other provisions of this law other than those mentioned below but are not included based on their very specific or limited application. 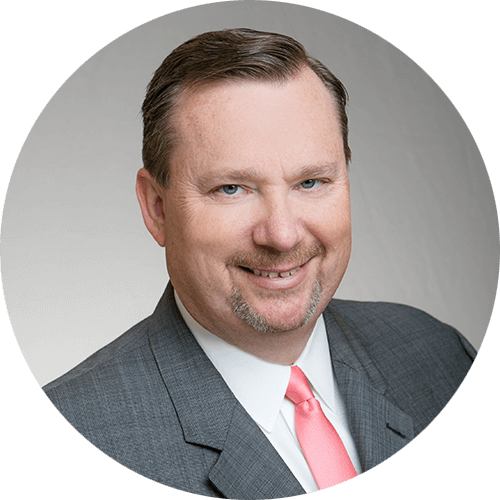 All commentary is the opinion of R Milton Howell III, CPA, Director of Tax Services for DMJ. Tax rates – ordinary income. First, 12% on up to taxable income of $90,000 married-filing-jointly (“joint”), $67,500 head of household (“HOH”), $45,000 single, and $2,550 trust or estate. Then, 25% on up to $260,000 joint, $200,000 HOH or single, and $9,150 trust or estate. Then, 35% on up to $1,000,000 joint, $500,000 HOH or single, and $12,500 trust or estate. Then, 39.6% beyond the 35% limits. Commentary. Advocates of this bill note that the 39.6% tax on top incomes is retained. Note however that the income this would apply to has been more than doubled, from about $450,000 to $1 million. Commentary. The releases to the press tout a 0% rate also, but that is not technically true. Those who say that are taking the large standard deduction into account, versus a true 0% tax rate. These amounts are indexed for inflation after 2022. Once taxable income exceeds $1,200,000 joint or $1,000,000 HOH or single, then the benefit of the 12% rate on the first dollars of income is phased-out. The alternative minimum tax (“AMT”) is repealed. Any remaining AMT credit from prior years is allowed 50% over 2019, 2020, and 2021, with the remaining 50% in 2022. For businesses that are taxed to individuals (proprietorships, partnerships, LLCs, “S” corporations), the income will need to be pro-rated into compensation versus a return of capital. The ratio is generally 30% capital and 70% compensation for a non-passive business. A formula will allow the taxpayer to consider a more advantageous ratio. Where the ownership is passive, the entire income is capital in nature. The return of capital is taxed at 25% while the compensation is taxed at ordinary rates. Income from professional services businesses (medical, dental, law, accounting, consulting, engineering, financial services, or performing arts) would generally be entirely compensation. Tax rates – long-term capital gains and qualifying dividends. First, 0% on up to taxable income of $77,200 joint, $51,700 HOH, $38,600 single, and $2,600 trust or estate. Then, 15% on up to $479,000 joint, $425,800 HOH or single, and $12,700 trust or estate. Then, 20% beyond the 15% limits. The ability to re-characterize a Roth IRA conversion back to a regular IRA is repealed. Commentary. The ability to re-characterize a 2017 Roth conversion in 2018 would remain available, but not for Roth conversions after 2017. Currently, Section 121 provides that you can exclude $250,000 of gain on the sale of a home if it was your principal residence for some two of the prior five years. 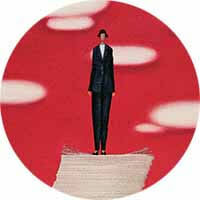 If you are married-filing-jointly, and both of you meet the test, then the exclusion is doubled to $500,000. You cannot claim this more often than every two years. This law change would change the test from two out of the five prior years, to five of the eight prior years, and you can claim the exclusion at most every five years. Unlike current law, the exclusion would begin to phase out as the taxpayer’s adjusted gross income exceeds $500,000. Commentary. This change would not harm most taxpayers unless they change residences frequently. The phase-out of the exclusion when income exceeds $500,000 is a notably tax-unfriendly development for upper-income taxpayers. Moving allowances provided by employers are no longer excluded from income. Commentary. This is consistent with moving expenses no longer being deductible. For divorces entered into after 12/31/2017, alimony received is not taxable income, and alimony paid is not deductible. Commentary. According to the Ways and Means Committee, this change will increase tax collections, since the current alimony deduction is generally claimed by the higher-earning taxpayer, while the alimony income is generally reported by the lower-earning taxpayer. Note that, despite some discussion by the President and other sources, no changes are made to 401(k) plans and the ability of the taxpayer to contribute pre-tax. Currently, home mortgage interest is deductible on up to $1 million of total debt on a principal residence and a vacation home. Interest on up to $100,000 of home equity debt is also deductible. This law would change the debt limit to $500,000, limit the debt to one principal residence only, and not allow home equity interest. Effective for debt incurred after 11/2/2017. Real estate property taxes are deductible up to $10,000 per year maximum. Cash charitable contributions would be deductible up to 60% of income (currently 50%). Deductions repealed in their entirety include medical expenses, state and local income taxes, personal casualty losses (other than certain designated disasters), tax preparation, miscellaneous employee business expenses, moving expenses, Medical Savings Account contributions, educator deduction, expenses of military reservists, and student loan interest. Commentary. Residents of assisted living facilities would be particularly harmed by the loss of a medical deduction. Commentary. HSAs are the equal or preferential to MSAs, so MSAs are being phased out. Standard deduction becomes $24,400 joint, $18,300 HOH, $12,200 single. Commentary. The repeal of these various deductions, along with an increase in the standard deduction, is believed to have a neutral offsetting effect while increasing simplification. Commentary. According to the Ways and Means Committee, the increase in the standard deduction and the decrease in eligible itemized deductions will have the effect of reducing those who itemize from about 1/3 of all filers to under 10%, thus achieving some true simplification. Commentary. For those with large families, the loss of exemptions may more than offset the higher standard deduction. The phase-out of itemized deductions based on levels of income, the “Pease” limitation, is repealed. Exclusion is doubled from $5,000,000 (indexed for inflation) to $10,000,000. Repeal of the estate and generation-skipping transfer tax for those dying after 12/31/2023. The basis of the inherited property would continue to be the fair market value at death. The gift tax would remain with the unused exclusion of $10 million after annual exclusions. The child tax credit is increased from $1,000 per child to $1,600 per child. The threshold of income where the credit phase-out is also increased. An additional credit of $300 could also apply for other dependents. The adoption credit is repealed. The three tax credits for college expenses are reorganized into one enhanced American Opportunity Tax Credit (“AOTC”). Thus, the Hope Scholarship Credit and the Lifetime Learning Credit are repealed and rolled into the new AOTC. The Coverdell education savings account will be phased out, with no new contributions allowed. These accounts can be rolled over into Section 529 plans. Up to $10,000 per year of 529 assets could be used for K-12 education. The corporate tax rate is reduced from a graduated 15% to 35% to a flat 20%. Personal service corporations (those involved in law, accounting, consulting, etc.) are taxed at a flat 25%. Section 179 depreciation expensing is increased from $500,000 to $5,000,000 effective for tax years 2018 through 2022. This deduction phases out beginning at annual property additions of $20 million (currently $2 million). Section 168(k) “bonus” depreciation, currently at 50% of the cost of property, is increased to 100%. This deduction is effective for equipment purchased and placed in service after 9/27/2017 and before 1/1/2023. Note that the requirement that the property be “new” is removed. For autos subject to personal use, the deduction is capped at $16,000 per new auto. Commentary. Note that states would not be expected to follow these generous rules, based on prior history. The result would be that good tax planning for federal purposes would still result in owing tax for the state. Section 1031 exchanges would continue to be allowed for real property only (not personal property). Commentary. This should have a negligible effect on the business property since business personal property can generally be expensed unless these rules, which would offset the gain from the inability to use Section 1031 for the property that was replaced. “C” corporations can remain on the cash method of accounting for average annual receipts of up to $25 million (currently $5 million). This is true even if the business carries inventory. Businesses with average annual receipts of $25 million or less would be exempt from the Section 263A uniform capitalization rules. Interest deductions for larger businesses are capped at interest income plus 30% of EBITDA (earnings before interest, taxes, depreciation, and amortization). Larger businesses are those with average annual gross receipts in excess of $25 million. Interest disallowed under this rule is carried forward for up to five years. Commentary. The thinking in this provision is that financed equipment could be entirely expensed year one, thus it is a second benefit to also deduct the interest on a deferred payment. The domestic production activities deduction is repealed. Entertainment becomes generally not deductible (not meals). Credits. The following credits are repealed. Move to a territorial income tax system (away from the US globally taxing everything and giving a credit for the foreign taxes paid elsewhere on that income). Deferred foreign profits are deemed repatriated at a rate of 12% for cash and 5% for that reinvested in a property. Churches will be allowed to make political campaign statements. There are some technical changes and simplifications in the tax on investment income for foundations and the unrelated business income tax for nonprofits.